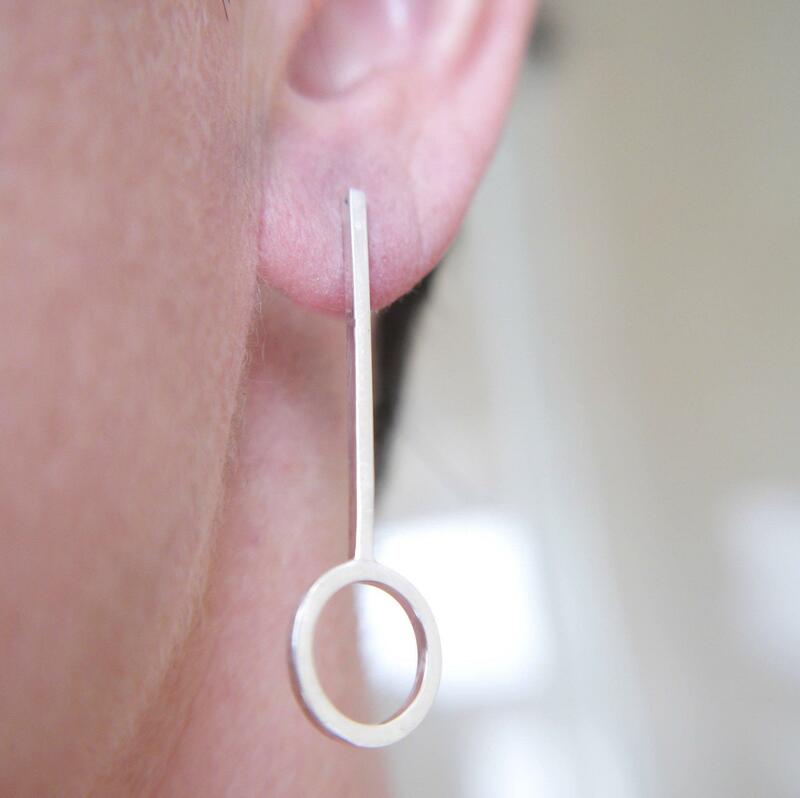 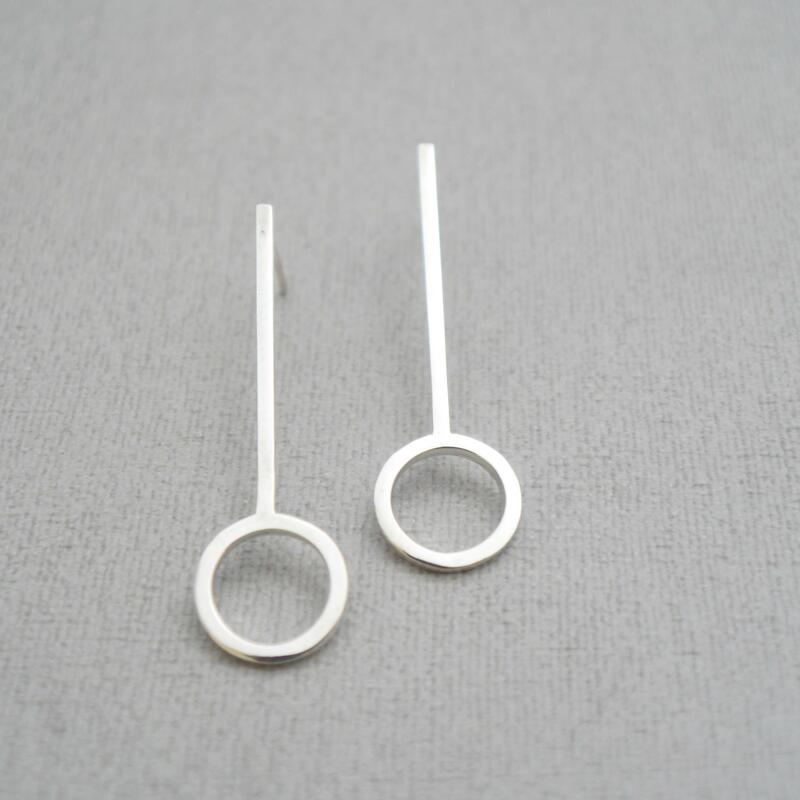 Contemporary circle and line 4cm drop earrings are elegant simplicity. 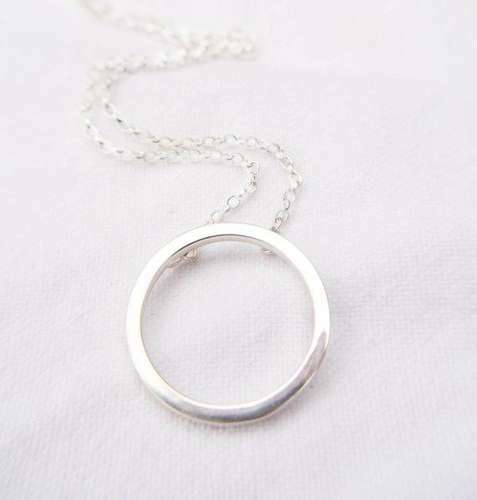 Perfect for everyday wear but equally for a more formal occasion. 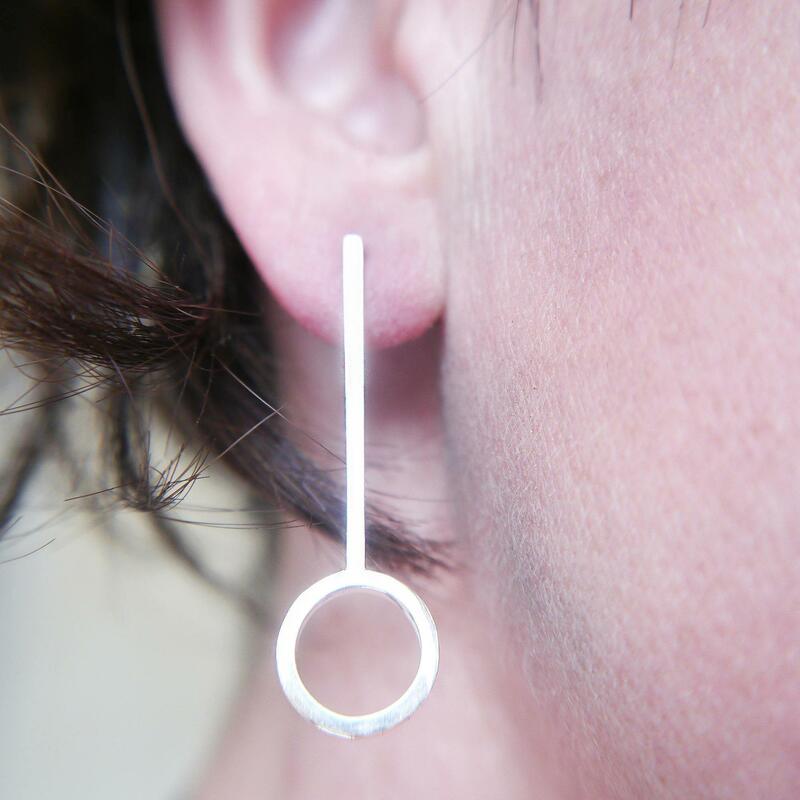 These unique ethical silver earrings are hand forged in North Hertfordshire using recycled silver. 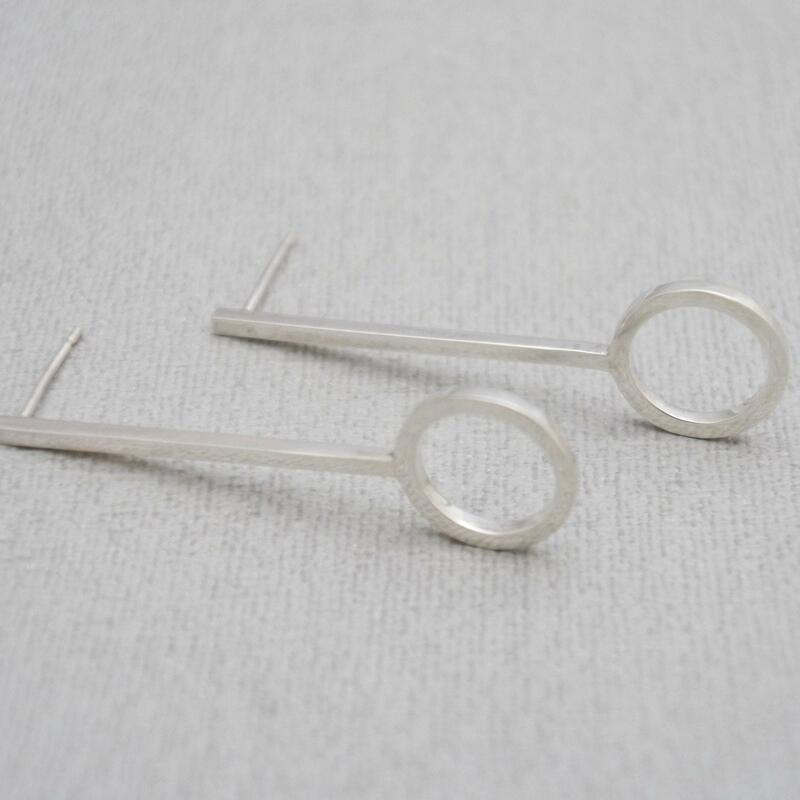 These earrings are available in two finishes - Polished to a high shine for a bright finish or brushed with a soft matte finish for a contemporary feel. 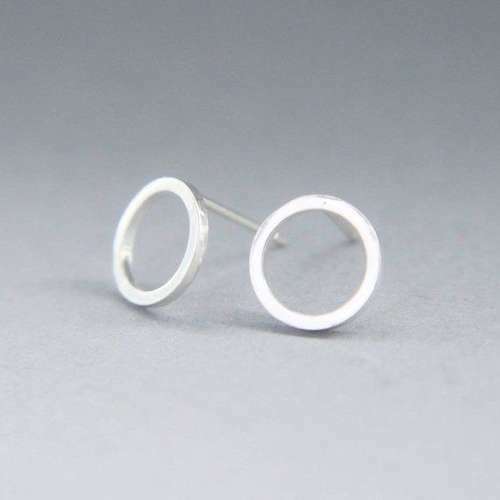 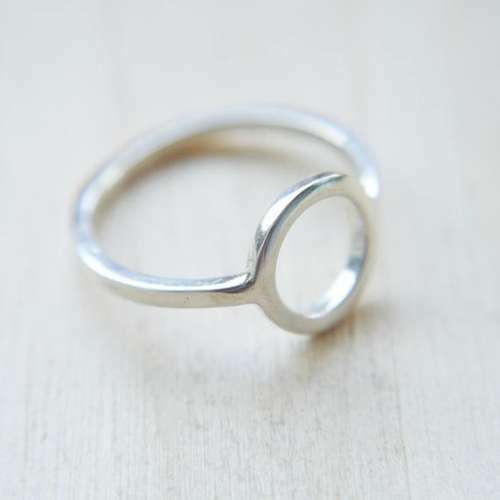 Materials - 100% recycled sterling silver. 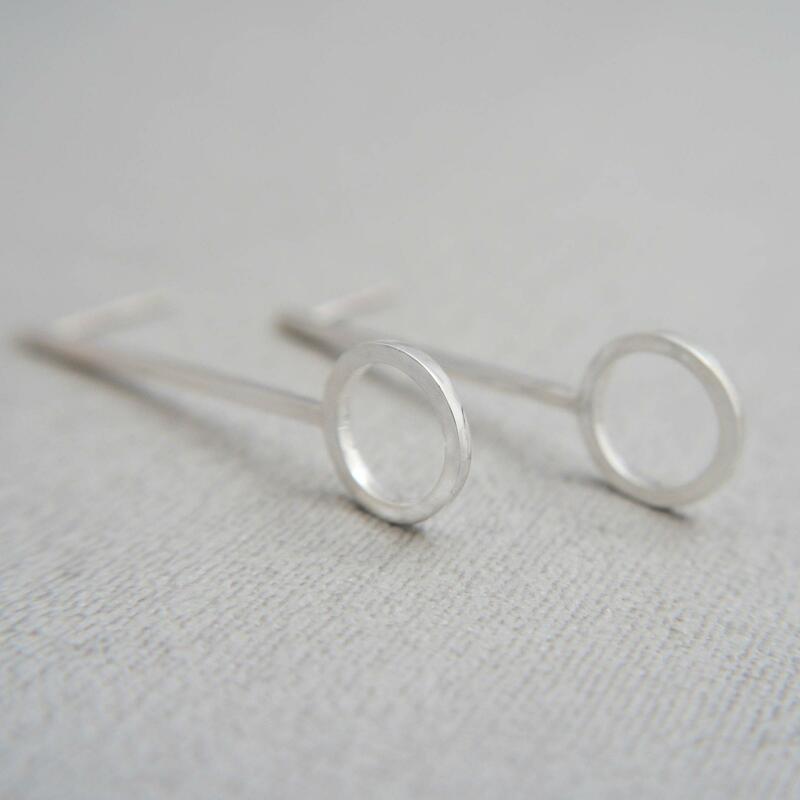 These earrings are made to order. 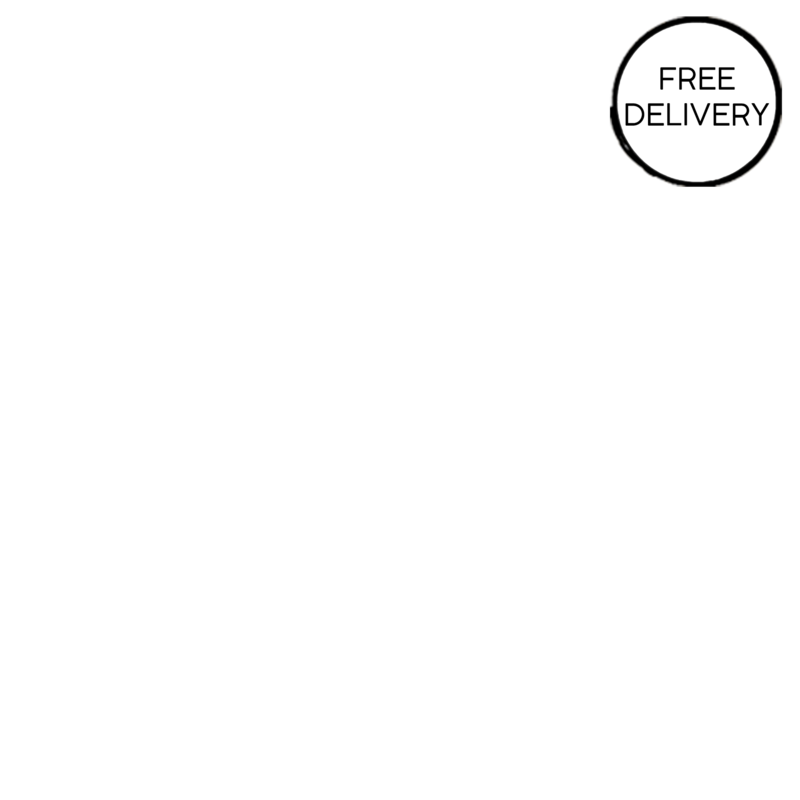 Please allow 3-7 days for them to be made before being shipped.